Raised Catholic and interested in Kabbalah since 1998, I’ve been asking bigger questions for a long time, and my particular area of interest has been human evolution, from biological, anthropological, and religious standpoints. I consider myself lucky to have been educated in such a way that my Catholic faith and science were never a threat to each other, even as I was aware of people insistent the world was created in 7 days in other fundamentalist and Orthodox circles. Still, no one could really ever dig deeper into what happened at the dawn of humanity, spiritually speaking. Just a few years ago, I became aware of writings by Rabbi Aryeh Kaplan, Rabbi Sara Yehudit Schneider, Rav Laitman from Bnei Baruch, and Rav Berg from the Kabbalah Centre, which dig a bit deeper into the mystery. I learned about sabbatical cycles, Rabbi Isaac of Acco’s calculations for the age of the universe, The Ari’s wealth of contribution to study even in his short life, and so on. I read The Broken Gift probably a little less than a year ago, thought it was interesting, and actually returned it because I didn’t think it fit in with the worldview that was emerging – but I know now I just wasn’t ready to receive the message. I’ve since studied a but of Rav Ashlag’s Ten Luminous Emanations, based on The Ari’s writings, which talk about reverse evolution, or de-evolution. I remembered this book, and downloaded it again recently for a read. I was ready to receive what it said, and it all made sense. I was amazed. Mr. Friedmann’s book is the book I have wanted to exist for a long time, but hadn’t until recently. In The Broken Gift, Daniel Friedmann takes us on a fascinating journey through the Old Testament, the Torah and currently accepted scientific theories and shows us how these could actually be telling the same exact story of the creation of our universe and the birth of mankind. But how could they be the same when the Bible and Torah tell us the earth and the heavens were created in 7 days and The Big Bang Theory tells us it was millions of years? Is there some way these seemingly different accounts could be telling the exact same story? According to Friedmann that is entirely possible. And in this book he explains how. This isn’t light reading, but it’s written in layman’s terms, not like a physics book or technical journal. Because these are big ideas to wrap the mind around on a philosophical level, I found myself reading over some pages a couple of times, but not because it was difficult reading. The way he presents these ideas is very thought provoking. I didn’t find any of his ideas to be anti religion or anything like that. In fact, it was kind of comforting to see a way for them to reconcile with each other intellectually. Friedman includes many tables and references including timeline that make it easier to visualize some of these ideas. He also includes a glossary and annexes of Genesis, Divine Time and the Flood background. I received a complementary review copy of this book. FP: Was Adam the first man? Was man created by divine act in less than one day almost 6,000 years ago, as the Bible suggests? Or did man appear 200,000 years ago as the culmination of numerous human-like species that existed during a span of millions of years, as the scientific record shows? Could both be true?… In The Broken Gift, author and aerospace engineer Daniel Friedmann examines the questions and provides an accurate gauge on which science and the Bible can come together…. JI: Using religious and scientific texts and analyses, Friedmann has created an equation that, in his view, solves one of the main problems in reconciling the two narratives of the world’s (and humankind’s) creation: time. The Broken Gift is an interesting thought experiment that also explains Friedmann’s views on the Flood story and its influence (or not) on human history, the number of languages spoken in the world, the free will vs. divinely ordained paradox, and humanity’s mission (and our progress towards the messianic era). While most skeptics won’t be convinced by Friedmann’s arguments, he does raise – and provide possible answers for – many questions that have long been debated. The premise of this book, supported by many thought-provoking arguments, is that a dual analysis of scientific evidence and the material related in Genesis lead to the same events and timelines for the beginnings of mankind. Using both scientific and scriptural research, the author, an engineer – seeks to demonstrate a meaningful alignment between what science and the bible tells us. Discussions cover both scientific inquiries, the controversial subject of Creationism, and the current situation of both. The fossil record, genetics, and the timeline for the appearance of homo sapiens are covered. There’s a fascinating interpretation of scriptures as well as the critical conversion of human and divine time to reach similar conclusions regarding humanity’s timeline. Many readers may discern revelations about revelation in Genesis. The book ponders whether there is scientific evidence for the flood. The scientific history of language, from the perspectives of the bible and science, is also especially interesting. Illuminating figures and tables, enhancing the textual assertions, are spread among the chapters. Ample subheads facilitate easy reading of the clearly written book. A glossary of relevant terminology is very handy. The cover design is intriguing. The title by itself is insufficient to reflect the book’s contents. A subtitle suggesting the premise and citing science and the bible would be very worthwhile. I’ll admit I was a tad bit skeptical about what I was going to be getting into at first. My religion is very important to me. I am a firm believer in studying and garnering information from different sources to build upon my knowledge and understanding. What impressed me most about this book from the start was the author’s care to respect the Scriptures and not defunct them but add onto what Christians believe to be true about the Bible and Creation. There first chapter lays out the foundation clearly for the reader to know what to expect while reading The Broken Gift chapter by chapter. Even if you are clueless about world history, Mr. Friedmann easily intertwines brief history lessons into each chapter so you can easily see how world history correlates to Biblical history. I’ll be the first to admit – I’m a self-proclaimed nerd. This book has tables, figures, timelines, lists and references galore that grabbed my attention. I was quickly engrossed with relating the history I’d studied for years in school with the history I’d been taught in church and through my independent studies. This book brought back fond memories of a World Religions course I took years ago that helped spark my zeal for knowledge when it came to my faith. Both cannot be right. Or can they? This is many of the questions Friedman discusses in his book. This book takes you through a scientific journey of human creation and scientific evaluation. My honest opinion is that this would be a great book for anyone studying theology or wrestling with the question of moral decisions, sin processes, or the overall transition from the Garden of Eden to today’s time. If you have an analytic mind then this book is for you. The controversy is as old as the written word (and probably before) who is right/wrong in the battle of Creationism vs. Evolution. As a well studied open-minded individual who was raised in a strict Christian Minister’s household I have found myself in the middle of the debate several times. I read “The Broken Gift” by Daniel Friedmann in one sitting – that is how gripping the book is. The author has an uncanny ability to argue both sides of the issue with the same amount of knowledge/research. He does this with a sense of delicacy for Christians and Scientists alike, perhaps both are right. Naturally he leaves the decision up to the reader (as it should be) only supplying facts/resources for his conclusions. I have been following Mr. Friedmann’s virtual book tour for some time and his fact-based findings are refreshing to say the least. I highly recommend this book to anyone with an open mind – of course I will not suggest it to my Father lest we have another argumentative Holiday season! Even if you have not read Daniel Friedmann’s first book “The Genesis One Code” you will have only a vast amount of knowledge to gain by reading “The Broken Gift”. The Broken Gift, by Daniel Friedmann, is a thought-provoking book in which the author skilfully reconciles the scientific and religious accounts about the origin of humans. The reader who begins the journey with Friedmann will need an open mind and must be willing to walk with the author through the entire process of creation, evolution, discovery, and understanding. 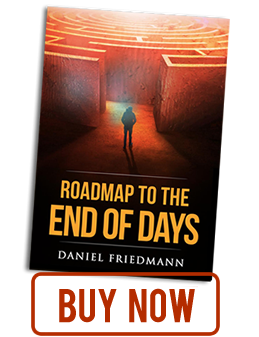 I have started to follow Daniel Friedmann’s book tour. All humanity is left to determine whether we all were created by a higher power, or did we evolve with time. Auther Daniel Friedmann uses facts, references and his intelligent insight to help us determine the solution. The Broken Gift is Friedmann’s second book in his series titled Inspired Series. I particulary enjoyed his first book, The Genesis One Code. In this first book the author gives his theory on the alignment of scientific and scriptural timelines to support the events given in the first two chapters of Genesis that involve the development of the universe and life on earth. This second book describes more about The Genesis One Code to include the earliest history of human life. His knowledge is evident as he uses insight from years of study leading up to the remarkable theories. All these factores makes this book a must-read for all those interested in the appearance of human life on earth. Also, this book is exactly for readers that have a keen sense for determing the origins of our existence. Daniel Friedmann’s book uses a based simple approach to joining two distinct views on the origins of human creation. Friedmann discusses the various scientific and scriptural theories of the appearance of humans on earth. He uses visual graphs and tables to help readers envision all aspects. This really is a book that is not in my usual repertoire for reading. I have to admit, it was a little dry for my taste, but again – not a book topic or choice I read on a normal basis, so it was a whole different ball game for me reading this. I am the type of person that questions everything and I have very different beliefs than most that I know so the content was right up my alley and it definitely had my wheels turning. I am thankful that I read the Kindle version because there were several times that I stopped reading to take notes (which I was able to do right in the Kindle). I know that this book is not for everyone – there are some people in my personal life that I would not recommend this book too. I do recommend this book to readers who have an open mind and the ability to explore both sides of the argument, I believe you will enjoy this book. Disclosure: I was provided a free ebook copy of this book in exchange for my honest review. All opinions are 100% my own. 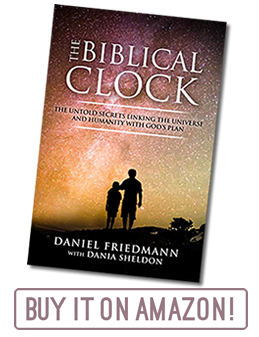 Having read THE GENESIS ONE CODE this reader felt it was helpful to review the credential of author Daniel Friedmann, and that bears repeating: `Daniel Friedmann is a student of the origin of the universe and life on earth both from the scientific and biblical perspectives. As author of The Genesis One Code, he demonstrates an alignment between the times of key events described in the creation narrative in the book of Genesis with those derived from scientific theory and observation. He is currently writing a second book entitled Adam and the Homo sapiens which will demonstrate an alignment between the key events and timeline recounting the appearance of humans in the book of Genesis with those derived from the fossil record and genetic studies. Born in Chile and raised in Canada, he is currently CEO of Canada’s leading aerospace company that built the Canadarms, and is involved in space exploration and the Hubble telescope. He is a professional engineer and holds a master’s degree in engineering physics. He has 30 years’ experience in the space industry, having worked on projects in fifteen countries while throughout the decades conducting extensive scientific research. He has published more than 20 peer-reviewed scientific papers on space industry topics and cosmology. He is also a longtime student of religion and for the past 14 years has attended the Vancouver Kollel center for learning. His work on reconciling the biblical account with scientific observation utilizing his biblical clock formula has been reported in various newspapers, magazines and radio talk shows. He is passionate about helping young adults put science and the Bible in correct context.’As it turns out his second book is not called `Adam and the Homo sapiens’ but instead the title be chose is THE BROKEN GIFT, and from the PR information comes the following statement: ‘The Broken Gift carefully examines the relationship between scientific theory and Biblical teachings. The book approaches the human origins debate from a fresh perspective informed by both scientific and scriptural research. The author demonstrates alignment between key events and their dates relating to the appearance and early history of our species as described in Genesis chapters 1 through 11 (Adam, Adam’s descendants, the Flood, and the fall of Babel) with those derived from scientific observation. Could both be true?’ And that is a very and astute summary of the contents of this immensely readable book. Friedmann wisely and slowly explains the differences between the views of the various groups of thought about the Origins Debate: the Scientific Inquiry (beginnings, the age of the Earth, evolution, genetics, and human evolution) and Creation (Scientific Creationism, Theistic Evolution, Intelligent Design). He then discusses the various discrepancies found in fossil dating, the various approaches to the meaning of `time’ (whether the world was created in the Genesis story of six consecutive days or whether the passage of history has suggested different meanings for the term `time’). He likewise explores the development of language (referencing the Tower of Babel), the migration of homo sapiens from Africa to the rest of the world, the scientific evidence of such Genesis stories as the Flood, Adam and the concept of Original Sin, and then explores some scientific theories such as Wave-Particle Duality. At book’s end he adds generous appendices – and for this reader this is the most interesting, fascinating portion of the book to read. Perhaps every reader will judge the contents of this book based on personal history and beliefs and that seems to be all that Friedmann is asking of us – to stop the battle between those who say the Bible is completely factual and true and must be taken on faith without engaging reason and those who debunk anything Biblical as fairytales for the weak of mind as contradictory to new found and daily investigated scientific facts about `How we began’. Friedmann marries the two concepts in an admirably thoughtful way and for all his research and his personal commitment to bring some mutual agreement to both sides of this debate he deserves at the very least a reading of his books. AND there is something for everyone, no matter the side of belief, to learn from reading this book. “The premise of ‘The Broken Gift’ is: The rigorous approach of science and a careful and equally rigorous analysis of Genesis produce the same events and timelines for the appearance and early history of humanity.” Author, Daniel Friedmann begins his book by defining Science and Creation. Science is the methodical method of collecting data about the universe and shaping it into concepts and rules that can be verified. Genesis is the first of the five books of law called the Torah. “The Torah is the blueprint of the universe’s and humankind’s existence from a faith-based perspective, drawn from a tradition of oral and written principles.” The author’s theory is that science and scripture should go hand in hand with the same outcomes. The largest discrepancy between science and scripture is the timeline. While Genesis states that creation took 6 days, while science declares it took billions of years. There is also the question of whether life evolved. Among the things covered in this book, the reader will find discussion on: why humanity was required, the creation and fall of Adam, the flood, and the spread of human language. “The Broken Gift” by Daniel Friedmann gives believers and scientists much to ponder. I can only hint at the wealth of information in this book as Daniel Friedmann has thoroughly researched his topic. He presents his thesis in logical terms. There is a glossary in the back of this book along with a list of references. The author has successfully presented information that should bring science and religion into balance. I highly recommend this book. The polarized conflict between scientific theories of evolution and the Bible and Torah accounts of creation reach a boiling point in The Broken Gift. Hold onto your hats for a roller coaster ride through thousands of years of detailed evidence that attempts to resolve some of life’s oldest mysteries. The journey will leave you breathless if not inspired. For millennium, we have seen through a glass darkly, as murky images of a big bang igniting the universe, stories of Adam and Eve, and hypotheses of apes evolving into humans cascade over our consciousness in a confusing cataract. We sometimes wish the arguments could be finally reconciled. Enter Daniel Friedmann, the CEO of a large aerospace corporation. In The Broken Gift, he wades more deeply into the discussion about evolution vs. creation than ever before. Ancient questions that have baffled humanity stew into an intriguingly fragrant broth in his new book. Not to be content with his investigations into these matters in his groundbreaking The Genesis One Code or his published peer-reviewed scientific papers on space industry topics and cosmology, the author attempts to reconcile the Bible and Torah account of creation with scientific observation—a task that may be unparalleled —and he succeeds on a new level that will startle readers who terminate their understanding with the facts of scientific data and amaze those who believe that God designed the cosmos according to His perfect master plan. Both cannot be right. Or can they? Will future events prove that this division was completely unnecessary? One day, Daniel Friedmann may be renowned as the history detective that succeeded in pulling together centuries of polarity into a unified understanding. His obvious passion for this subject manifests in the details of every page of his 242-page book. The Broken Gift merges information gleaned from manuscripts as old as 800 years and cutting edge scientific data to demonstrate an alignment between the dates of key events pertaining to the development of the universe and the appearance of humans on Earth. The author unravels this primordial puzzle in twelve chapters that explore with equal fairness the scientific rationalization and the scriptural explanations. Then, he performs a most intriguing clarification: according to his detailed calculations, the two accounts can be fused. He reveals that their differences may have been mirrors of each other all along. Readers will be delighted with other aspects of this book in addition to the above mentioned topics. Have you ever wondered just exactly where we are in the Age of Man? Are we near the so-called End Times? Was Eden a myth, another dimension somewhere between corruptibility and incorruptibility, or a real place on the map? Did sin cause mankind’s downfall? Can we comprehend God’s creative process? The Broken Gift should win awards for excellence. Readers will discover an absorbing attempt to brush away the sands of time and reveal a new view of eternal truths, such as the need for humanity, facts and fiction surrounding The Flood, Babel, Wave-Partical Duality, and Time. Readers will fairly float through the book with ease, for despite the lofty subject matter, he writes engagingly with excellent grammar, punctuation, sentence structure, and spelling and composes his book in an easy-to-read format that can be absorbed by anyone. Best of all, readers need never wonder how he arrived at any idea. Footnotes abound that document every resource the author used to springboard to his inspirations. Three Annexes, a Glossary, and an Index make return reading a snap, and readers will want to return because the book will be widely discussed. Evolution vs. creation: Will the debate never end? Daniel Friedmann has the solution. The Broken Gift is the author’s second book in his Inspired Studies series. His first book, The Genesis One Code, proposes the alignment of scientific and scriptural timelines to support the account given in the first two chapters of Genesis of the development of the universe and life on earth. The Broken Gift extends the scope of The Genesis One Code to include the earliest history of human life. The book’s twelve chapters enhanced by figures and tables thoughtfully discuss individually and comparatively the scientific and scriptural theories of the appearance of humans on earth. Chapter topics like “Divergent Views: The Origins Debate,” “The Science Answer,” and “Interpreting Scriptures” correlate evolutionary and biblical timelines through a comparison of empirical science and mystical faith. Daniel Friedmann’s book takes a laudable approach to reconciling two historically divergent perspectives on the origins of human life. His remarkable insight born from years of study leading to riveting conclusions makes this book a must-read for anyone interested in the origins debate and the appearance of human life on earth.